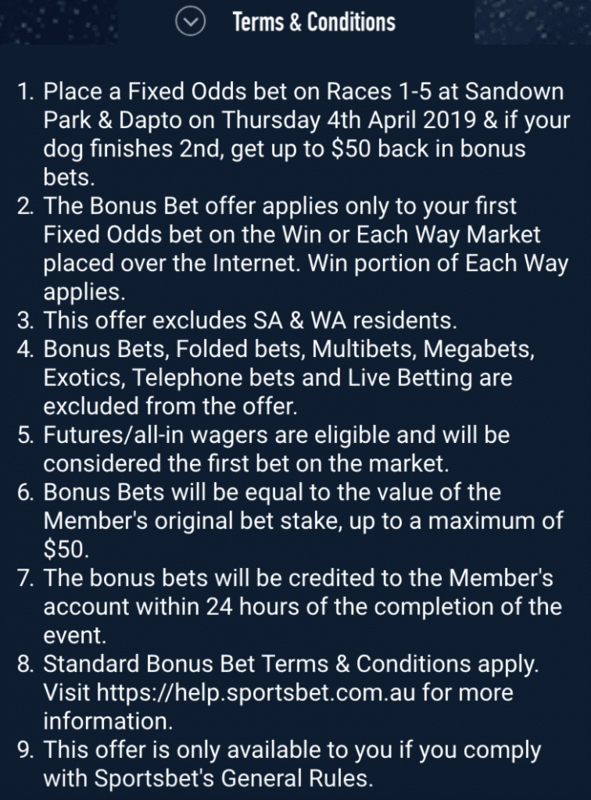 Each night this week, Sportsbet has delivered a raft of bonus promotions for greyhound punters across two different states — tonight they’re at it again at Sandown and Dapto. 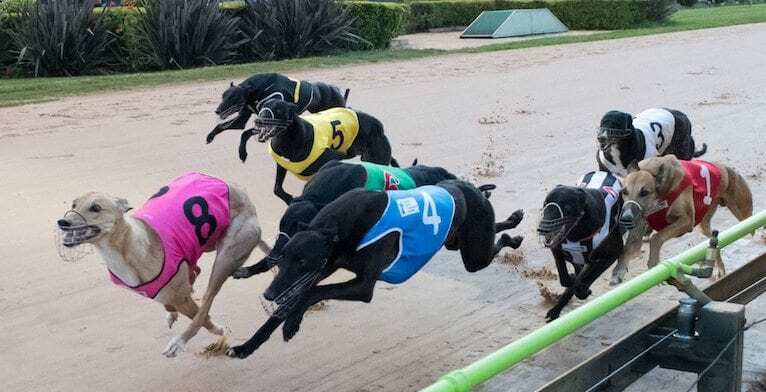 Dapto and Sandown — are there two better greyhound tracks in Australia? What a night we have ahead of us. And, if you’ve ever punted on the dish-lickers before, you know the reality of getting pipped in the final few metres, watching a sure thing break your heart. Thanks to our friends at Sportsbet.com.au, that heartbreak needn’t be so bad tonight. 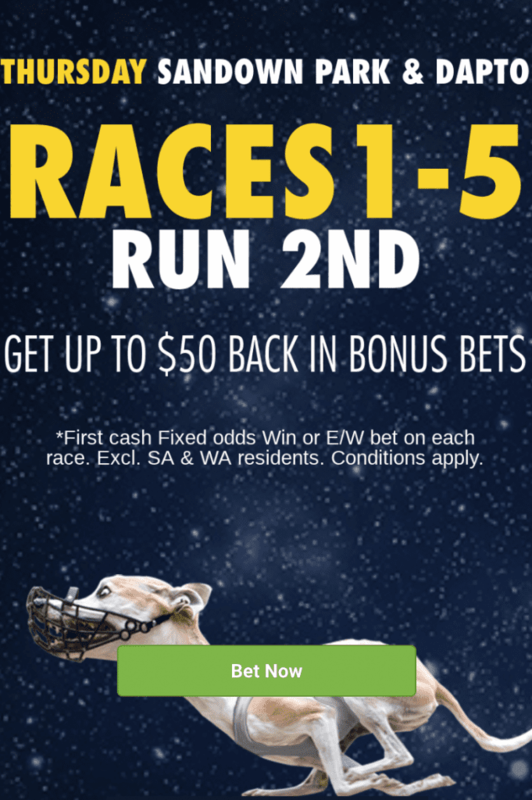 If you back a fixed odds runner in any of the first five races at Sandown and Dapto tonight and your dog finishes second, you’ll get up to $50 back in bonus bets. The promotion excludes South Australian and Western Australian due to state legislation. Read all of the terms and conditions below and gamble responsibly. The 11-race Sandown meeting starts at 7.07pm AEDT tonight and Dapto begins soon after at 7.13pm.